Green Reit earns €75 million a year in rent on its primarily Dublin-based properties. 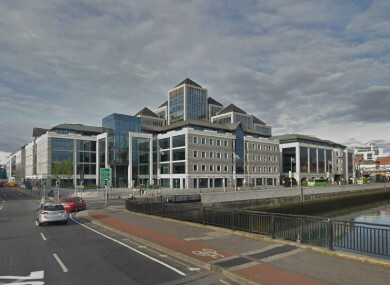 DUBLIN-LISTED property investment trust Green Reit is up for sale, with its board citing the company’s consistently disappointing share price as it now looks to sell the company which has a portfolio worth €1.5 billion. It comes after a “comprehensive and carefully considered review” of the options available to the company to try to maximise value for its shareholders, it said. Green Reit earns €75 million in rent a year on its primarily Dublin-based properties, with most of this consisting of office space in the capital. It owns sites like George’s Quay Plaza in Dublin city, Central Park in Leopardstown and One Albert Quay in Cork. JP Morgan Cazenove have been appointed to lead the sales process, which is set to begin immediately. Gary Kennedy, chairman at Green Reit, said: “The company’s share price has been subject to a material and persistent structural discount to its net asset value per share for over three years now. Our primary responsibility as a board is to deliver shareholder value. Given this imperative and following detailed analysis and due consideration, we have decided to focus on the sale of the company or its portfolio of assets. Co-founders of the company Stephen Vernon and Pat Gunne have said they won’t make an offer for the company, or participate in a takeover bid. Email “Dublin-listed property investment firm - with portfolio worth €1.5 billion - is up for sale”. Feedback on “Dublin-listed property investment firm - with portfolio worth €1.5 billion - is up for sale”.